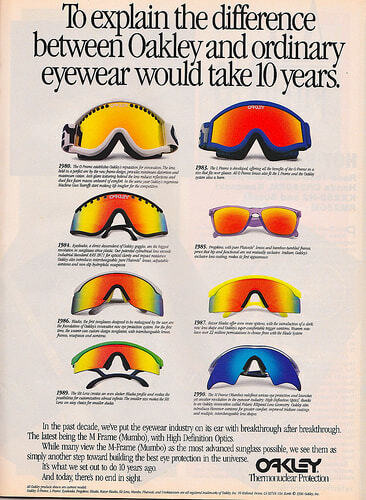 "At one time if you didn’t have Oakleys you were no one. Nowadays if you have Oakley's no one wants to know you. This was around the time everyone had THERMONUCLEAR PROTECTION on the windshield of their pick-up truck. You call that a pick-up truck? pfffftttt"